Once you've cut and scored the base piece, all that is really left is to decorate!! 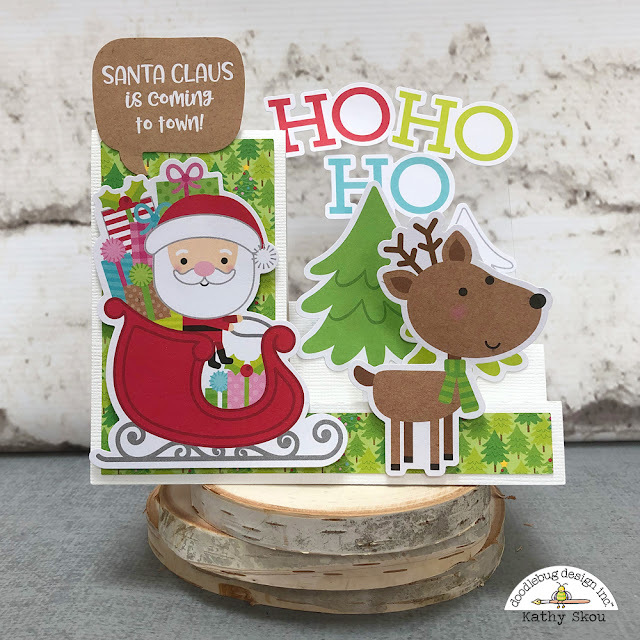 For my card, I added the different Christmas Town Odds & Ends and Chit Chat pieces onto the different steps of the card to create a little scene. For the numbers, I cut the lily white Dot-Stripe Petite Prints paper from the 6x6 pad into 0.75"x 1.5" pieces and added numbers from the Ladybug Abigail Stickers. (you will need 2 each of the numbers 1 & 2, then one each of 0 and 3-9 for a 25 day countdown) I cut a small frame for the countdown base, measuring 2"x3" and added some Limeade Teensy Type letters to the bottom. To hold the numbers on the card, I glued on one of the Christmas Mini Clothespins. I used glossy accents to glue it to make it very secure. Finally I added a little pocket to the back of my card to hold the numbers. 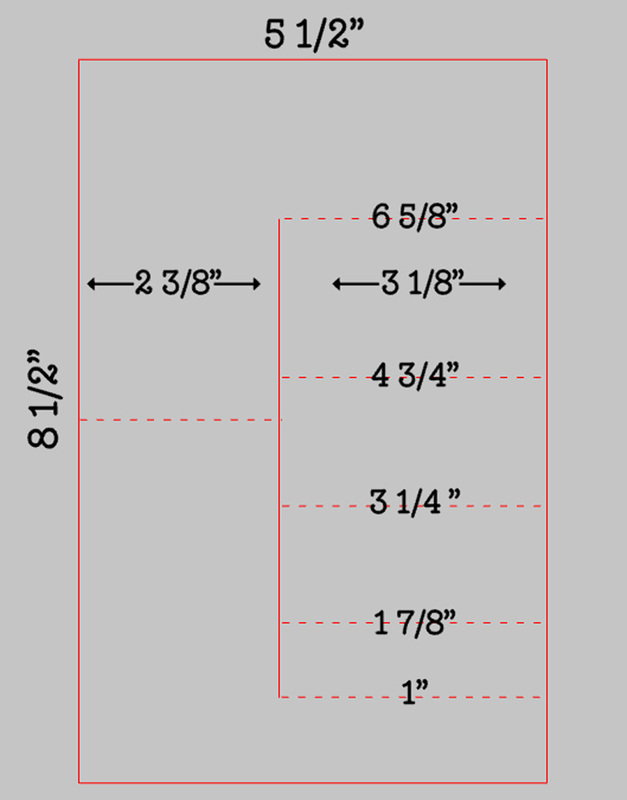 I used this file from Lori Whitlock (SVG, Silhouette) which I re-sized to be approximately 2.25" x 3.25". 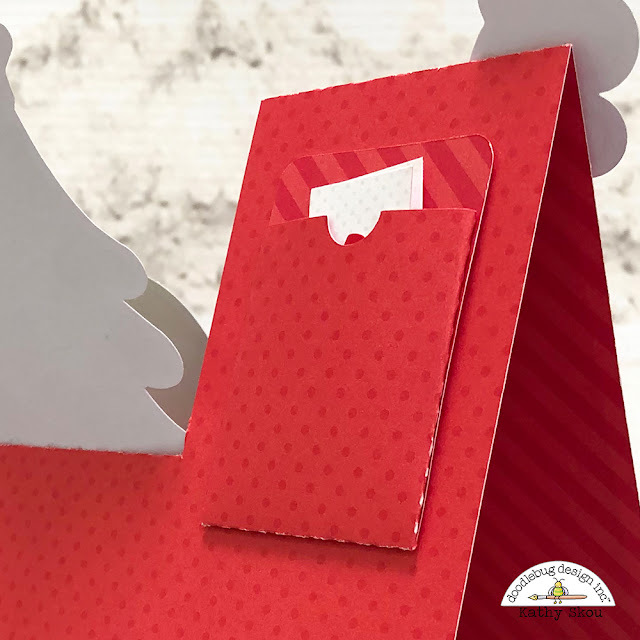 You could use a small envelope or bag as well. I had so much fun making this card, I decided to make a couple of more to show the versatility! In place of the countdown you could also add your Christmas Photo like I did on this card. I used a piece of transparency (available in your local office supply store) and glued it to the last step. I added some snowflake stickers from the Christmas Town Icon Stickers. They look like they are floating in the air above the card! I also used a piece behind the chit chat piece as well. I just trimmed off the extra, but you could leave it if you didn't want to cut it. 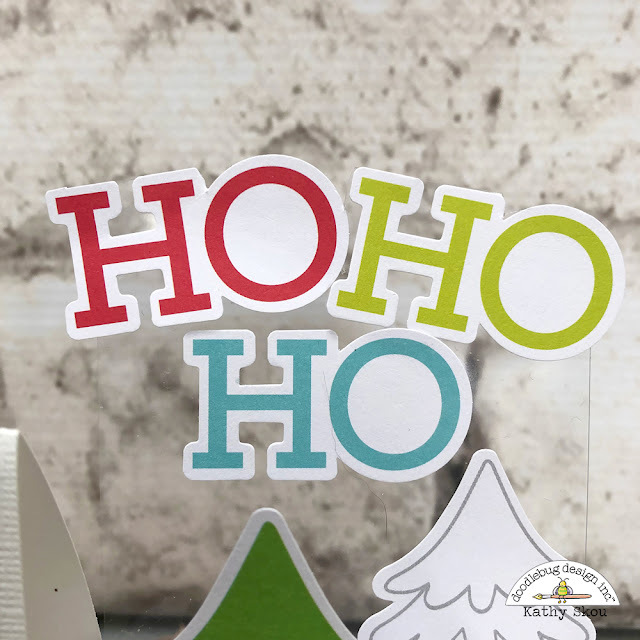 I used a transparency on this card as well to hold the Ho Ho Ho pieces. 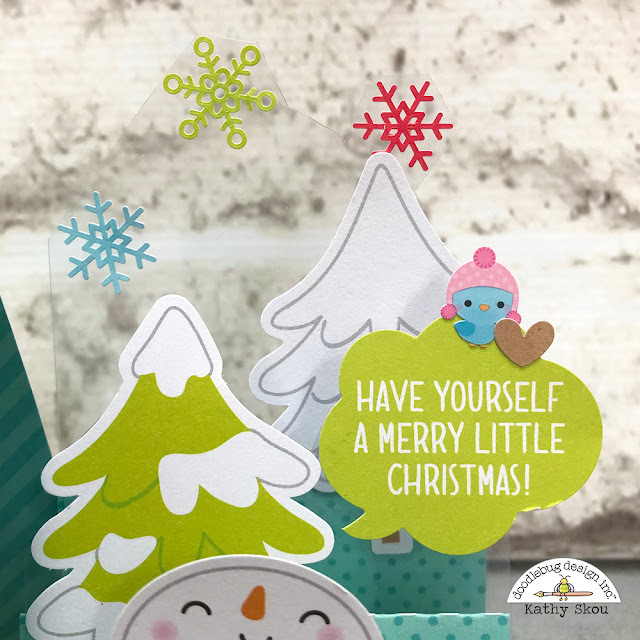 These side step cards really are fun to make and when you combine them with the Chit Chat and Odds & Ends pieces, the creative possibilities are really endless! If you decide to try one please be sure to tag @doodlebugdesign on social media so that we can see your creations! That's it for me today, thanks for stopping by to peek! Oh my word! These are adorable!! Where can I buy all the little pieces like the chit chats and odds ends? Thank you Kristin! You can try a local scrapbook store if you have one, if not you can get them at scrapbook.com. What an adorable idea! You always rock the Christmas Countdown calendars. Love it! Kathy, this is super cute. I would like to use your idea and make one for my neighbor kids. I don't totally understand how you did the number cards. In your picture, are there two cards, a card with a 2 on it, and a card with a 5 on it, is that how you put together the 25? Then the clothespin is holding the two cards together? Super Cute! Kathy, I figured out what you did with the cards. Each number is on a separate card. Again, your cards you posted today are super cute. I am going to go back in the near future and look through your blog. It's hard to beat Doodlebug craft items.